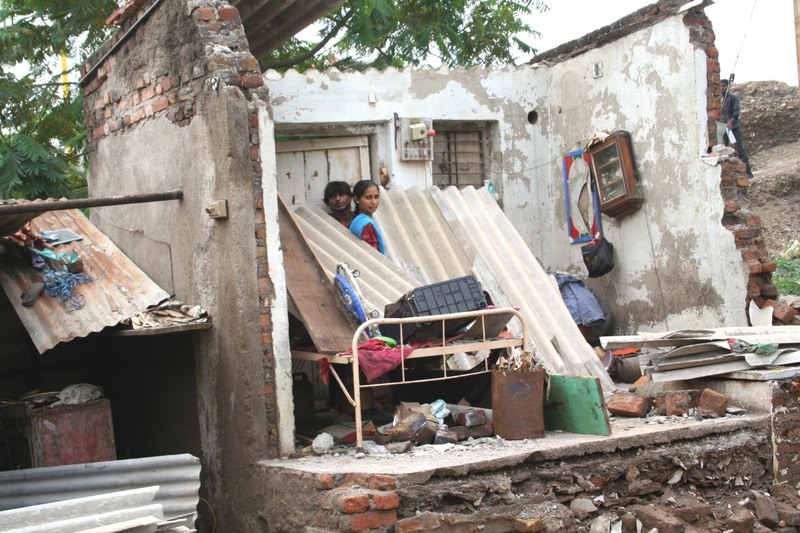 Sumana Bhattacharya, ICSD, India looks at how the disconnect between disaster management (DRM) and climate change adaptation is posing a risk for development in India. The recent disaster in Uttarakhand has revealed some serious holes in the governance of disasters in India. Report after report has warned the Uttarakhand State Government on the potentially disastrous results of building a series of dams over its rivers and the possible implications of not regulating the unplanned settlements in and around the Hindu religious places that practically lie on the river beds. However, many such warnings appear not to have been heeded. The most important related to the apparent contradictions between the policies and plans aimed at conserving the local biodiversity and those promoting the human population thriving on the local landscape. The flood fury due to heavy cloud burst experienced in Uttarakhand is just one example of what happens when there is not a happy union between preserving ecosystems and economic development. The problem with our approach to management of climate related disasters is the same throughout the country whether it be for managing cyclones, storm surges, or droughts. The situation is likely to escalate further if a business as usual attitude toward development in India continues. Across the world weather related extreme events are more intense and frequent than in the past, and this trend is projected to continue, as the land and sea surfaces are warming up with increasing concentration of greenhouse gases in the atmosphere (IPCC, 2007). In India, one challenge which weakens our preparedness to combat the impacts of climate change and natur al disasters is the fact that while the National Action Plan on Climate Change (NAPCC) puts in place high-level strategies and some plans for managing disasters, the National Disaster Management Authority (NDMA) was not highly involved in drafting it. As climate change is seen as primarily an ‘environmental matter’ the drafting of the NAPCC was done largelyby the Ministry of Environment and Forests (MoEF). It was drafted using a sectoral approach and with the aim of reducing impacts in ‘hotspot’ areas, with missions on water, agriculture, forests, Himalayan biodiversity, urban habitats, energy efficiency, solar energy and knowledge management. These missions are the responsibility of the respective ministries at the national level meaning that many cross cutting issues such as managing natural disasters get left out of the climate change policy framework. Two of the missions that are directly linked to the Uttarakhand floods – labelled in the media as the ‘Himalayan Tsunami’ – are the National Mission for Sustaining Himalayan Ecosystem and the Mission on Sustainable Habitats. The Himalayan Mission does not have a clear and comprehensive institutional mechanism for implementing its primarily scientific related strategies and plans, nor does it fully outline how extreme weather events will be managed in this fragile eco-system. It seems everybody is thinking within their own box, never making an attempt to even go beyond the usual. Conversely the Sustainable Habitats Mission has an elaborate implementation arrangement at national, state, district and panchayat (village) levels to tackle climate change and natural disasters such as extreme rainfall and cyclones, but does not significantly involve the disaster management authorities/agencies at these different levels. At the state level, the action plans for combating climate change (SAPCCs), being prepared by every state, have followed the sectoral approach of the NAPCC and have largely ignored the involvement of the state disaster management authorities and others responsible for disaster risk mitigation. This is partly because disaster management in the psyche of the Government and beyond tends to be considered a reactionary measure to respond to disasters, rather than a proactive preparedness approach whereby disaster risk is integrated within the development planning process. As per the IPCC’s Special Report on Extreme Events the severity and manifestation of the impacts of climate extremes depend not only on the hazard itself but also on the level of exposure and vulnerability. As we have seen in Uttarakhand, climate-related disasters can cause widespread damage and severely alter the normal functioning of communities and societies. Therefore making the connections between disaster risk management, adaptation to climate change and development is likely to reduce exposure and vulnerability and increase resilience to the potential adverse impacts of climate extremes, even though risks cannot be fully eliminated. A directive by the Prime Minister’s Council on Climate Change to include an additional Mission on Extreme Events and Disaster Preparedness within the NAPCC that recognises and acts upon the interconnections between adaptation to climate change, and disaster management. The primary objective is to coordinate action across departments to reduce the current silos. Consider forming climate change cells within the national and state level disaster management authorities which will collaborate with the focal agency for climate change at that level, and others whose work impacts on disaster management. Undertake capacity building initiatives to raise awareness within the disaster management authorities and line ministries for practical climate-smart disaster management approaches such as resilient infrastructure practices and improved building codes. The tragedy in Uttarakhand should sharpen minds and focus attention on how the current approach to managing disasters is not working in India and better synergies with national and state level action on climate change and development is essential. With CDKN support, Intercooperation is delivering a project to research the institutional barriers and opportunities in achieving convergence of DRR and CCA in the context of development, poverty and vulnerability reduction. It does this by applying the Climate Smart Disaster Risk Management (CSDRM) approach.